This month, the Belarusian Ministry of Finance will issue bonds for $425.8 million to bail out Gomselmash (abbreviation for Homiel Rural Machine Building), the most important industrial holding company of the second largest city in the country. The large cost of issue reflects the size of Gomselmash’s problems. The holding fails to sell its products, is reluctant to lay off people and cannot pay salaries to its employees. Many other Belarusian enterprises face similar problems. The state recently limited assistance to state-owned enterprises, which still dominate the Belarusian economy but has no choice but to provide even more help. In May, Prime Minister of Belarus Andrej Kabiakou stated that the authorities should assist Gomelselmash because it remains a Belarusian national brand. In fact, the factory has a long history: it emerged in the late 1920s, during the Second World War it was evacuated, but was still producing mines. After the war it became one of the five largest manufacturers of agricultural machinery in the world. Today Gomselmash is one of the main companies of the Homiel region. It has around twenty thousand employees and offices not only in the post-Soviet region, but also in China and Argentina. 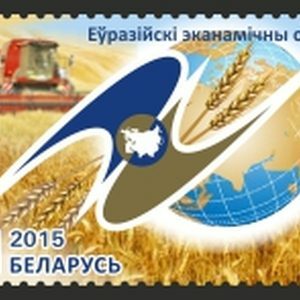 The enterprise appeared at second place among the most unprofitable enterprises in Belarus in the first quarter of 2015. The newest data remains unavailable, but introduction of the bailout program means that the second-quarter results can bring no difference. Gomselmash is no longer able to service its loans or cover the costs of electricity and gas necessary for production. Gomselmash cannot even issue its own bonds, so the Ministry of Finance would have to do it instead. Minsk Tractor Plant, who will also get help this month. Belarusian authorities believe that Gomselmash remains too big to let it fall. Belarus, however, no longer has the money for direct state subsidies, as the amount of exchange reserves does not allow to keep printing money. Therefore, the authorities came up with the idea of issuing bonds for $425.8 mln that will be acquired by four banks. According to Aliaksandr Chubrik, Director at IPM Research Center, "this measure does not contradict to stabilization efforts of the authorities and is in line with their general approach: not to allow further aggravation of problems in financial sector". Without this state aid, he told Belarus Digest, Gomselmash would be unable to pay its debts and that would lead to serious problems in the banking sector. 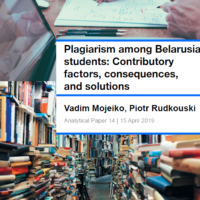 Therefore, Belarus subsidises state companies to keep them afloat, even though these same enterprises led the economy to the current state in the first place. The International Monetary Fund, that is currently negotiating a new program with the Belarusian authorities, could as well, according to Chubrik, understand the reasons behind the help to Gomselmash. Moreover, the Belarusian authorities never promised to stop enterprise bailouts and start economic reforms. And possible donors, like the IMF, know that things cannot change for the moment. Given the state of Gomselmash, it makes sense that the Belarusian authorities decided to help the holding. However, these tactics will probably not save it, but rather increase its debt and worsen the economic situation of the whole country. Today, Gomselmash's problems are associated with low levels of innovation, but the money it will receive will not go to research and development. 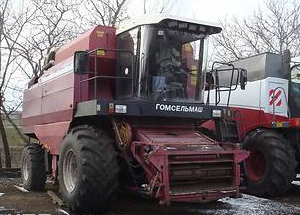 The law signed by Lukashenka does not provide extra subsidies for Research and Development of the Centre of Combine Harvester Engineering, Gomselmash's R&D subsidiary. The poor quality of machinery does not appear to bother the authorities at all. According to Chubrik, the money will go to pay off previous debts and to ensure the basic functioning of Gomselmash. However, it remains unknown whether the holding will be able to upgrade its production or repay its debts. It also seems that this is not the last check picked up by the government for the company. The bailout of Gomselmash would not be a topic for discussion if it did not open the gate for other enterprises to seek government money. Most major enterprises in Belarus belong to the state and, according to the Ministry of Finance, a quarter are not profitable. They certainly would like to have some financial help from the state. According to a report released this month by the Ministry of Statistics production in machine building fell by 20%, while in rural machine building, as in case of Gomselmash, it fell even further. The situation clearly shows the dilemma that Belarus faces: if it wants to keep the economy afloat, it has to continue to subsidise its enterprises. Other options, like privatising or discussing how to restructure dysfunctional enterprises with the IMF's help, remain on the table, but the authorities remain reluctant to choose them. Ryhor Astapenia is the founder of the Centre for New Ideas and an associate analyst at the Ostrogorski Centre. Last week, Belarusian Foreign Minister Uladzimir Makei criticised cooperation within the Eurasian Economic Union. Minsk is no longer hiding that its own position on the EU-led Eastern Partnership initiative starkly differs from Russia's stance on the issue. Although Minsk continues to assure Moscow about its brotherly support, brazen commentaries from pro-Putin commentators in Russia leave little doubt: the Kremlin does not believe these assurances. The Belarusian leadership responds by turning to Western countries or even China as a counterbalance. By putting pressure on Minsk, Moscow believes it has driven Belarus into a corner. Yet there may be an exit still – and it leads westwards. In criticising the newest post-Soviet integration initiative of the Eurasian Economic Union​, Makei pointed out that the creation of a common economic space had essentially been delayed until 2025, and a series of exemptions and limitations currently exist within the Union. The economic basis of the project, as well as sincerity of its participants, have raised a number of questions. Indeed, since 2014 trade between the Eurasian Economic Union​ member states has been declining. In reality, each country appears to be going its own way. Makei recently stated that “Kazakhstan strives to rapidly join the WTO. And meanwhile there are more than 3.5 thousand items in which Kazakhstan is in the negotiation process with the WTO to achieve a reduction in customs protections.” As a result, Kazakhstan has a more liberal trade regime than other Eurasian Economic Union​ member states. We have simply betrayed Kazakhstan and Belarus, or in the very least did not show concern for them. We promised them to join the WTO together – you can well remember the public statements to this effect. And then we joined unilaterally. And since then both Kazakhstan and Belarus, as the members of the Single Customs Space, are bearing the costs of these developments. At the same time they do not have the right to defend their own interests. Minsk is not willing to pay for Russia's image project – the Eurasian Union – out of its own pocket. Even less so in view of the fact that Moscow cares less and less about its ally. Russia not only joined the WTO while ignoring Belarus, it also launched a massive intervention in Ukraine without informing Belarus. The Kremlin consistently denies Minsk new military hardware all while demanding from Belarus a Russian air force base within its borders, and Putin is not hiding that he does not regard Belarus or Kazakhstan as allies. For him, Russia's sole allies are its own army and navy. Can Russia Make Lukashenka Dance the Can-Can? Emboldened by improved relations with the West, the Belarusian authorities rebuffed the Kremlin over the Eastern Partnership as well. Last month, Makei emphasised that the idea of Eastern Partnership was “necessary, needed, and useful”. That stands in stark contrast both with Putin's recent criticism of the Eastern Partnership and with the statement by one senior Russian official, Putin's closest associate Igor Shuvalov, who called the Partnership “a grave mistake” and the reason for the war in Ukraine. These statements, however, do not indicate that Minsk is deliberating any radical change in its foreign policy orientation. Belarus' location and close economic ties with Russia means mean that Belarus will remain its important ally, a reality that is taken into consideration by every responsible political player in Belarus, be they members of the authorities or the opposition. Living next door to Russia can at times be both a strategic asset and liability for the Belarusian state. Therefore, when top Belarusian officials repeatedly state that Minsk's friendship with Russia is healthy as ever, these words reflect their heightened awareness of the sensitive nature of their ties at present. It does not, however, mean that Belarus is a marionette of Russia. Politically, it is not difficult to force Lukashenka to dance the can can. In two days time Russia could announce that it does not consider Belarus a sovereign state and in three days Lukashenka faces a Maidan and full-fledged foreign aggression, because he is nothing and his name is holds no meaning. Ishchenko's words are not the first verbal threats launched this year by people known to be close to the Russian government. These attacks and the Kremlin's public dismissive stance towards its own allies has produced any number of consequences – one has only to listen to Belarusian officials to see its effects. In May, Deputy Foreign Minister Alena Kupchyna conceded that Minsk hopes that the EU will help Belarus strengthen the economic basis of the nation's independence by providing access to European financial institutions and supporting Belarusian efforts to join the WTO. In June, Belarus' Foreign Ministry spokesman commented that despite Washington maintaining sanctions against Belarus bilateral relations are improving. Earlier this month the chairman of the lower chamber of the Belarusian parliament Uladzimir Andreichanka announced that Minsk was working on returning to the Parliamentary Assembly of the Council of Europe. Belarus lost its special guest status there after the controvercial 1996 constitutional referendum. Due to its economic, political, cultural and historical ties Belarus cannot afford enact dramatic changes in its foreign policy. At the same time, Minsk faces the increasingly cynical attitude of Kremlin and draws its own conclusions. No one should overestimate the importance of the intergovernmental organisations and initiatives promoted by Moscow, like the Commonwealth of Independent States, the Union State of Belarus and Russia, or the Collective Security Treaty Organisation. It looks the Eurasian Economic Union is following the path treaded by similar initiatives – despite the loud rhetoric coming out of the Kremlin, few concrete results have been seen as a result. For its part, Minsk is learning from its past experiences – and it is certainly not going to spoil its relations with the West for dubious Kremlin projects. The West could gain a lot if it continue to work with Minsk by encouraging a pragmatic line in Belarusian politics.